Do you remember an old cartoon called Peabody’s Improbable History? In March 2014, DreamWorks decided to blow the dust off the WABAC machine and remind us. Directing this 92 minute animation/adventure/comedy/family/sci-fi is Rob Minkoff. Lending their voices are: Ty Burrell as Mr. Peabody, Max Charles as Sherman, Ariel Winter as Penny Peterson, Allison Janney as Mrs. Grunion, Leila Birch as WABAC, Stanley Tucci as Leonardo da Vinci, Patrick Warburton as King Agamemnon, Zack Callison as King Tut, Stephen Colbert as Paul Peterson, Leslie Mann as Patty Peterson, Albert Einstein as Mel Brooks and Dennis Haysbert as Judge. Sherman has a pretty usual life. I mean not everyone can say they were adopted by a talking dog that happens to be a genius. Or that they have access to a time machine that’s used to go back and watch history. Unfortunately, being raised by a dog, no matter how smart he is, can have it’s downsides. Like being made fun of at school by a fellow classmate named Penny because of Mr. Peabody. Yet, bullying isn’t the only problem Sherman is having. After something goes horrorably wrong during one of their time travels, it causes a rift in the space-time continuum. Now, Mr. Peabody and Sherman must figure out how to close the vortex and set things right before time becomes a jumbled mess. Back in 1959 a great cartoon kids show hit the air waves. The Rocky and Bullwinkle show, which (in 2013) was ranked the 6th greatest TV cartoon. The Rocky and Bullwinkle show ran different segments and that’s when we got… Peabody’s Improbable History (created by Ted Key), where a dog and his pet boy traveled through time. Well, like all great things, eventually they come back around. Which is why we’re here, to review the 3D computer animated movie about a brainiac dog known as Mr. Peabody and his human boy sidekick Sherman. I was really skeptical when I heard about this one, yeah another one of my childhood memories waiting to be torn apart. To my surprise, Minkoff, who also directed The Lion King and both Stuart Littles did a great job with this film. Mr. Peabody and Sherman still carried that old feeling of the original show that I enjoyed so much, while taking a breath of fresh air for a new generation. The animation looked good and everything flowed well from scene to scene. 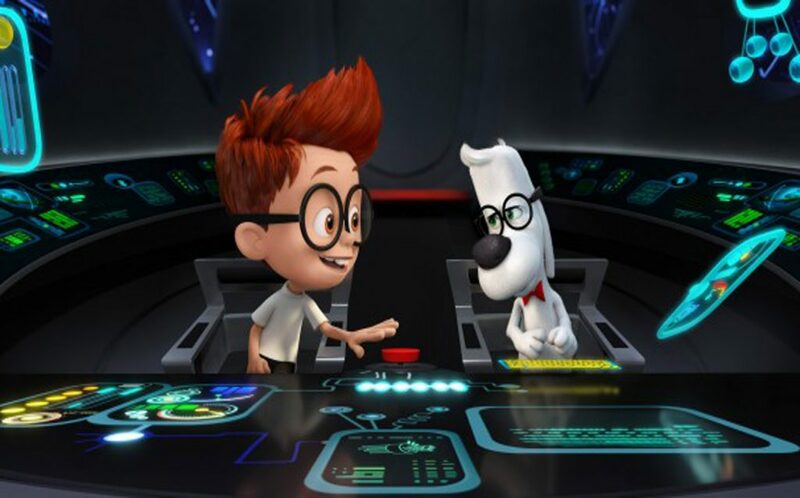 As for the storyline, like I said, it has the feel of the old show, but then they vary and go deeper into the relationship between Peabody and Sherman, while still doing their dance through history. Which I have to say worked for me, and made for a good playthrough. The pace is good and there’s enough going on that it’ll keep the kids entertained. The cast did a good job bringing the characters to life, and some of the stars where even a treat to hear. For any Danny Elfman fans, guess who did the music for the film. Yep, Elfman, so sit back and enjoy the tunes. Summary : This one falls under the family fun for all, plus it's worth the time and money to go out and catch it. 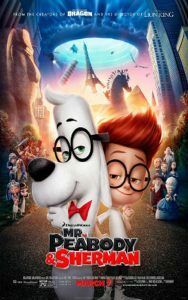 What others say about : Mr. Peabody and Sherman (2014)..
Would've been 5 stars if they didn't force a first love story on us. I thought Mr. Peabody's bad puns were on target, especially, "I guess I'm an old Gaza." I agree, there didn't need to be a love story but the rest of the movie I really enjoyed. I'm glad they made this one.